Generally, the IRS can’t issue a tax levy until it sends out several written notices—generally four. It can take up to six months or even longer from the due date of your payment, until the IRS can legally levy on your bank account. The last of the IRS notices is known as a Collection Due Process Notice. The notice will state that you have the right to request a hearing. Most of the time, this notice is sent on IRS Form Letter L-1058 or IRS Form Letter L11. The IRS is required to send this notice by certified mail to your last known address. If you respond in writing to the notice within 30 days of the mailing date on the L-1058 or L11 letter, then the IRS will not be legally be able to serve a levy on your bank account until you have had a hearing before an IRS Settlement Officer. At the Collection Due Process or CDP hearing with the Settlement Officer, you will be able to request an installment payment agreement, an offer in compromise (OIC) or any other collection alternative. You can also raise an innocent spouse defense or request an abatement of interest. If you have not had a previous opportunity to dispute the amount of the liability, you can do that in the CDP hearing. If you cannot come to an agreement with the Settlement Officer at the CDP hearing, then he or she will issue a Notice of Determination. The CDP Notice of Determination gives the taxpayer an opportunity to file a Petition with the United States Tax Court. The Petition must be filed within 30 days of the mailing of the Notice of Determination. We recommend that the Petition be sent to Tax Court by certified mail, return receipt requested. Important. The Petition must be mailed to the Tax Court NOT the IRS Settlement Officer who heard your case. Once the Petition is received by the Tax Court, the case will be assigned to an attorney for the IRS. The Tax Court will calendar your case for a hearing, but if you have asked for a collection alternative, such as an installment payment agreement or an Offer in Compromise, the Tax Court cannot substitute its judgment for the judgment of the IRS Settlement Officer. Instead if it determines that the IRS has “abused its discretion” it will remand the case back to the IRS for further proceedings. While the entire process can be very time consuming, it can ultimately result in a much better outcome than if a taxpayer simply accepts the determination made by an IRS Revenue Officer or the IRS’ Automated Collection Service (ACS). 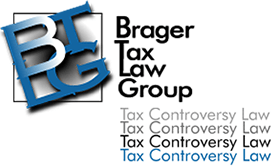 While a case is pending before the Tax Court, the IRS is, generally, prohibited from levying, although there are some exceptions to this rule.